The Scottish Motor Racing Clubs annual Awards Ceremony took place in Edinburgh last night (17th November) at the Sheraton Grand Hotel & Spa. During the evening – which celebrates Scotland’s local, national and international successes in motor racing – three time Le Mans 24 hour Winner and 2013 FIA World Endurance Champion, Allan McNish, announced, via a video link, that he would be stepping down as the clubs President. He announced that he would be handing over the clubs most prestigious role to, Ecurie Ecosse Patron and former SMRC Chairman, Hugh McCaig. McCaig is a well-known and respected personality in the world of motorsport, both here in Scotland and further afield. He holds an impressive motorsport pedigree, having been successful in a number of different guises within the sport. He has played an integral role in the careers of some of Scotland’s most successful drivers, having supported the likes of Allan McNish and David Leslie. He is also a Patron of Ecurie Ecosse, having been instrumental in reviving the brand in the 80s, culminating in winning the Group C2 World Championship. He later went onto become involved in the British Touring Car Championship, leading to championship victory with Vauxhall and John Cleland in 1995. Throughout this time, he has also dedicated his time to supporting the growth of the Scottish Motor Racing Club, having served on the board for 40 years and chaired the club twice in this time. In more recent years, he has also become a patron of the Jim Clark Trust. 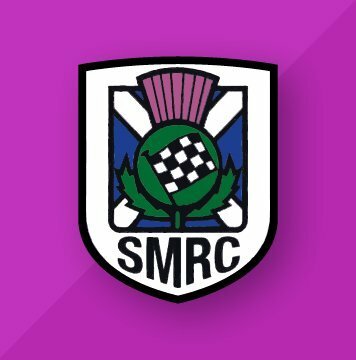 Hugh will take on the presidency position with immediate effect, where he will play an integral role in ensuring that the legacy left to the club from the late John Romanes is utilised in a manner that will reflect the commitment – both personally and financially – that John Romanes made to the Scottish Motor Racing Club.